With a slightly rounded base. The top is a 9.5mm-10.5mm dovetail rail and the overall width is for 20mm weaver / picatinny mounts with cross cut slots. 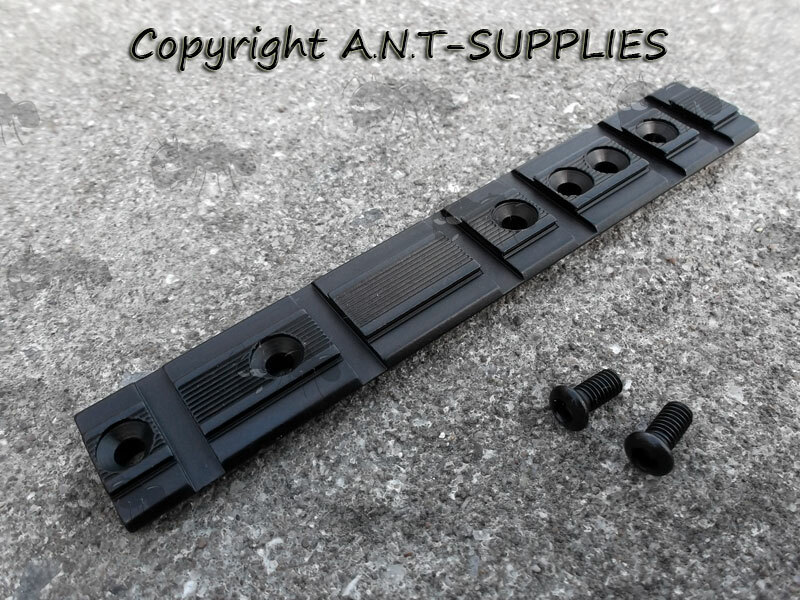 Made from black anodised finished aluminium and steel bolts. The included screws are 10mm overall and with 3.9mm diameter threads. 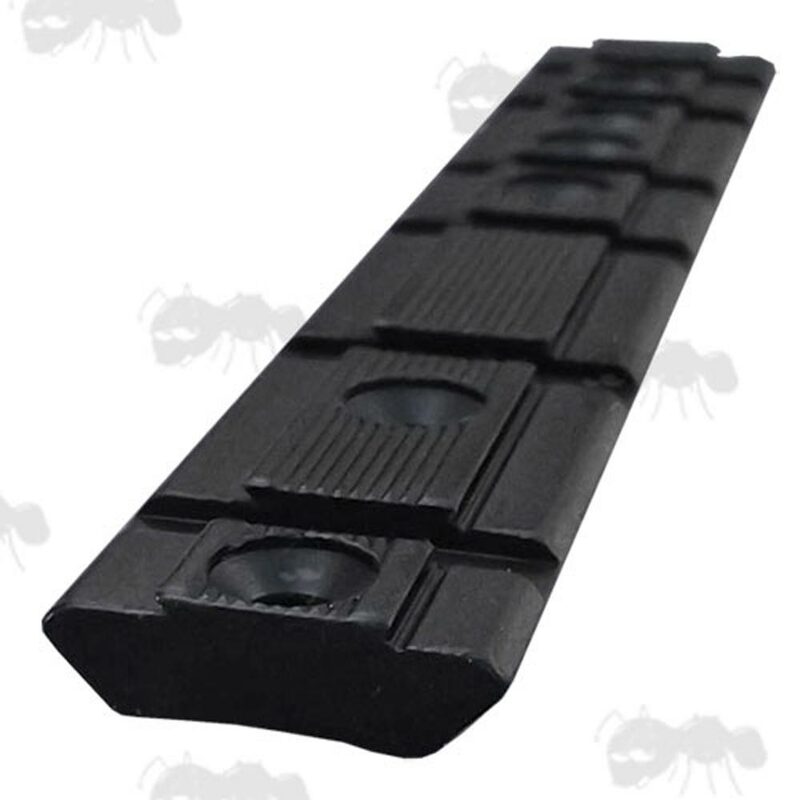 They are also a good as Ruger 10/22 sight rails as they match the profile, but you will need the existing screws, as the included ones are too big. Accepts both dovetail mounts and weaver / picatinny mounts. The top of the dovetail rail is approximately 10.5mm wide and the overall width of the base is 20.5mm for weaver / picatinny mounts. Two rails can be fitted in-line, if a longer rail is required and if space allows.